COLUMBUS – A Circleville man has been caught in Columbus after a six minute pursuit on Columbus West side. Richard K. Lee of Circleville was observed on 11-7-2108 at 1:41 am operating in a reckless manner in the Sullivant Ave area in a 2006 Ford Heavy Duty Truck. Deputies attempted to stop the vehicle at witch time it refused to yield and a pursuit ensued lasting around six minutes. While on Frank rd near IR-71 deputies were able to successfully deploy Stop Sticks (tire deflation device) disabling several tires on the felling vehicle. The vehicle came to a stop on Haul Rd. and SR-104. Lee and another occupant were taken into custody without further incident. The vehicle was a reported stolen vehicle out of the City of Columbus. Lee was also found to have a felony warrant out of Fairfield County. He was charges with numerous traffic offenses, including driving under suspension, Fleeing and Receiving Stolen Property. 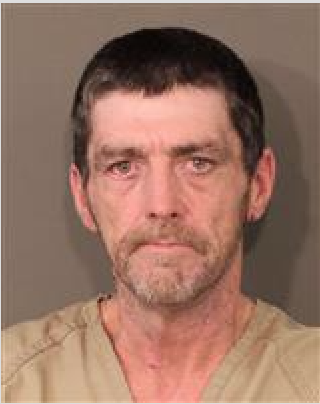 He is currently being held in Franklin County Jail. The other occupant who was taken into custody was later released with no charges.